Less than a week ago I vented to Twitter about how frustrated I get at commenting on blogs. As I was going through my Reading List and commenting, I noticed that a lot of the blogs I consistently comment on weren't commenting back. And this angered me. In a way I guess I felt embarrassed too. What was meant as friendly support in the form of comments all of a sudden made me feel like a groupie, like I was desperate. And that ticked me off more. After discussing it on Twitter with a few friends, I see why some bloggers don't respond to comments, but was still stung a bit. I understand that people get busy, and don't have time to respond to comments. But then that leads to question why there is a comment section on there anyways? Is that for self-gratification? For an ego boost? For the record, DISQUS sends you your comments through email allowing you to respond or delete simply by replying to the email. How easy is that? I admit that I am part of the problem. There are a few blogs that I visit daily and comment on religiously as they are my friends, but I fall short in commenting on blogs that comment on mine. I try to, but I don't do it enough. As far as blogs with CAPTCHA, my impatience usually results in not commenting. After 1-2 unsuccessful tries, I give up and close the window. 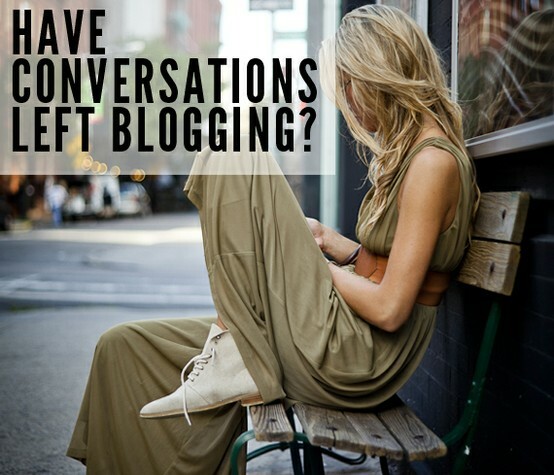 Fortunately/Unfortunately there are so many amazing blogs out there and such limited time! How do you win? I've decided that I will give a blog 3-5 comments before deleting them from my Reading list for not replying. This will allow me to find new blogs and cut loose those that do not return the courtesy. Yikes, that sounds worse than it is. In closing, I apologize to those who I have not responded to, or those whose blogs I have not commented on. Please accept my apology and know that I challenge myself to change. I know that some bloggers blog for themselves and not for the readership, but where would we be without our readers?